November 1, 2012 - Jerry Edward Kuwata, 63, of Granite Bay, pleaded guilty Tuesday to recklessly endangering the safety of an aircraft, United States Attorney Benjamin B. Wagner announced. WECO Aerospace Systems Inc. was founded in 1974 with a repair station in Lincoln and another in Burbank. Among other activities, WECO repaired and overhauled aircraft electronic components and flight instruments, including electromechanical rotables and converters. Rotables are generally parts that convert a mechanical drive into electrical output such as generators, alternators, and rotary and linear actuators. Converters are components that supply electrical power to the systems on an aircraft that need it. WECO’s customers included private, for-profit aviation companies in California, Florida, Georgia, Pennsylvania, Indiana, and Arizona, as well as government entities who operated aircraft such as the city of Los Angeles and the Department of Homeland Security. The Federal Aviation Administration regulates air travel and publishes regulations that FAA-certified repair stations are required to follow. These regulations include the use of parts that are approved for repairs, as well as tests and inspections that repair stations are required to conduct before a repaired part can be returned and reinstalled into an aircraft. 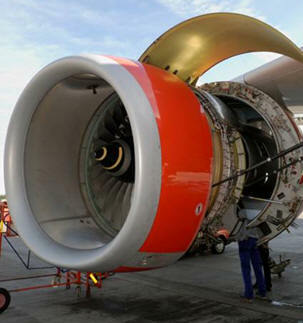 Under the regulations, during the repair of an aircraft part, a certified repair station is required to comply with the manufacturer’s Component Maintenance Manual (CMM), a step-by-step guide for conducting a proper repair of the part that is prepared by the manufacturer and approved by the FAA. The CMM contains the steps that a repair shop must take to fix a part, as well as the tests and inspections that must be done before the part can be returned to service. The WECO facilities in Lincoln and Burbank did not have some of the equipment needed to perform many of the tests required by the CMMs. Nonetheless, WECO performed repairs of parts and returned those parts to customers, falsely certifying for each one that the part had been repaired in accordance with FAA regulations. According to court documents, Kuwata conspired with others to conceal from customers and the FAA the facts about WECO’s repairs; namely that those repairs were not being done in accordance with the CMMs and FAA regulations, and to communicate false information about those repairs to customers. This conduct recklessly endangered the safety of aircraft that used the parts repaired by WECO. There have been no known instances in which a fraudulent WECO repair resulted in an aircraft accident. Upon learning of the allegations, the FAA issued an emergency order suspending WECO’s repair station certificate. In addition, since finalizing its purchase of WECO in 2008, Gulfstream has fully cooperated with law enforcement in the investigation and prosecution of this case. The conduct alleged occurred prior to Gulfstream’s acquisition of WECO, and none of the defendants is currently employed at WECO. Sentencing has not been set at this time; Kuwata faces a maximum sentence of 20 years in prison, a $250,000 fine, and a three-year term of supervised release. The actual sentence, however, will be determined at the discretion of the court after consideration of any applicable statutory factors and the Federal Sentencing Guidelines, which take into account a number of variables. Remaining co-defendants in the case include William Hugh Weygandt, 63, of Granite Bay; Scott Hamilton Durham, 39, of Roseville; Christopher Warren MacQueen, 53, of Lincoln; and Douglas Arthur Johnson, 52, of Granite Bay. Each is charged with conspiracy to commit fraud involving aircraft parts. The charges are only allegations and the defendants are presumed innocent until and unless proven guilty beyond a reasonable doubt. Michael Dennis Maupin, 58, of Arbuckle, and Anthony Vincent Zito, 47, of Saugus, have pleaded guilty to violations stemming from this case and await sentencing.